You’ve probably felt it before: you push off the ground to sprint toward the finish line, or dribble the soccer ball, or catch the Frisbee thrown at the park, when you feel the twinge in your ankle. Sometimes it’s just a slight pain and you push on, hardly noticing. Other times it forces you to stop what you are doing altogether. Your whole joint feels wobbly, loose, and uncomfortable. Ankle instability can get in the way of your activities. The pain cuts in and reminds you that all is not well. Chronic joint weakness is more than just an inconvenience, too. It can cause additional injuries that lead to more pain later. Ankle instability is a common problem that results from past injuries, including fractures, inflammation, nerve problems, and sprains—especially if they were not treated or happened multiple times. Sprains are the most frequent source of the problem. In this condition, the ligaments supporting and stabilizing your ankle bones are stretched beyond what they can handle, straining or even tearing them. If they aren’t allowed time to heal properly, they aren’t able to tighten back to their original stabilizing position. They remain loose and inefficient. This opens the ankle to additional sprains, worsening the condition. Eventually the repeated injury can lead to bruising in the cartilage in the ankle, bone spurs, and arthritis. When your ankle is unstable, you generally feel the outside is weak and “gives out.” The connecting tissues aren’t holding your ankle tightly enough, so you end up supporting more weight on the outside edge of your foot when you walk or run. Often your ankle will feel sore and swell somewhat. It may be tender to the touch. The joint may also feel weak or wobbly to use. At Dallas Podiatry Works, Dr. Joel W. Brook, Dr. David R. Northcutt, Dr. Irene Arroyo and Dr. John Baca examine your unstable ankle to determine the exact cause of the weakness. They review your medical history, including how long the ankle has been painful and if you injured it previously, as well as obtain diagnostic images, like x-rays or MRIs, to get a clearer picture of the joint. Once the exact cause has been determined, the physicians work with you to decide on the best course of treatment for your pain and instability. Fortunately, many conservative and noninvasive remedies are available. Anti-inflammatory painkillers may be prescribed to help reduce the swelling and limit your discomfort. The joint will need to be immobilized in a brace or boot to allow the weakened tissues time to heal. You will also need to strengthen the muscles and connecting tissues that hold the ankle bones in place, or they still will have trouble supporting you. Physical therapy exercises directed at restoring range of motion and muscle strength can help with this. If the pain is still serious and not responding to other treatment, you may need medication injected directly into the joint. Sometimes, however, the instability has damaged the joint enough that surgery is the best option for restoring ankle efficiency. 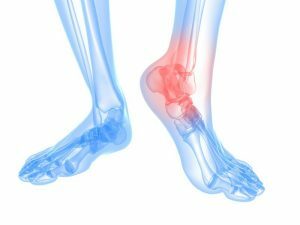 If the experts at Dallas Podiatry Works have worked with you using conservative treatments and you continue to struggle with pain, you may need surgery. During the procedure the physicians can repair the damaged tissues and give you a new chance to heal. If your ankle feels wobbly and insecure, don’t wait until you’ve sprained it again to seek help. Every injury to your ankle tissues compounds the problem. Besides being painful now, chronic instability can lead to arthritis and severe joint pain later in life. Early treatment gives a much better chance for the injury to heal well. So if you or someone you care about struggles with ankle instability, contact Dallas Podiatry Works for an appointment or more information and get started on restoring your joint. You can reach one of our two convenient Texas locations by visiting the online contact page, or by calling the Dallas office at (972) 566-7474 and the Plano location at (972) 943-3323.